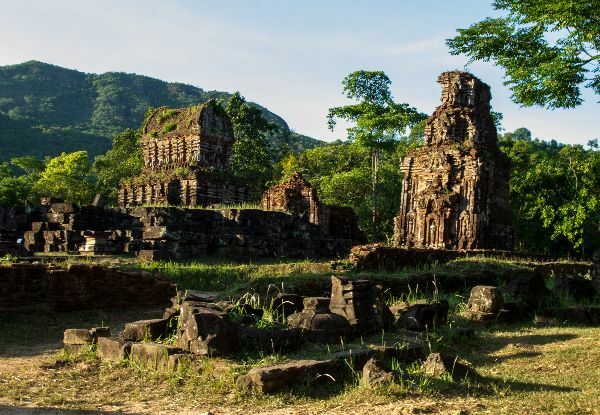 Travel the sights of Vietnam and Cambodia, and experience the unique landmarks and destinations, rich both with history and culture. From the stunning scenes of the legendary Ha Long Bay, the remains of the impressive tower temples at the site of the ancient kingdom of Champa, to the sparse and sprawling sights of Ho Chi Minh City itself, you'll leave no corner of these magnificent countries unseen. Explore Hoi An’s countryside and its local foods by bicycle on a foodie tour and let your taste buds go on an adventure of a lifetime. 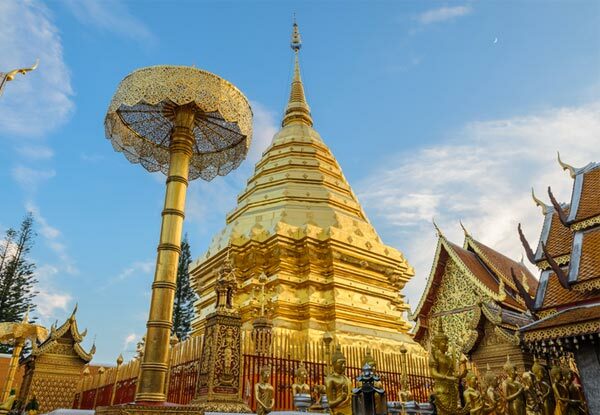 Tick these two, beautiful countries off your bucket list with 14 days filled to the brim with exploration and adventure through South East Asia. Bookings essential and must be made within 10 days of purchase, or by the 28th February by the latest for travel between 4th January 2019 - 6th Dec 2019. Grab a per-person, twin-share 14-Day Vietnam and Cambodia tour including accommodation, all entrance fees, Ha Long boat trip, landmark sightseeing, internal flight & transport. Bus ticket (Ho Chi Minh City – Siem Reap) – 13 hours, air-conditioned, modern, spacious, comfortable 40 seat buses, with tinted window glass, curtains. Please note: If you cannot choose any from the above departure dates, please contact us at info@hoianexpress.com.vn we will check the availability and we arrange the trip departing on your request date. Arrive at Noi Bai Airport. Pick up and transfer to hotel. Check-in. Overnight in Ha Noi. The shuttle bus will pick you up at your hotel and depart for Ha Long Bay within 4 hours, going through the scenic countryside. 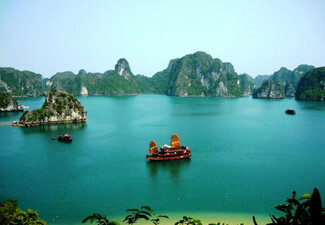 The wondrous Ha Long Bay is truly one of Vietnam’s most impressive scenic sights. 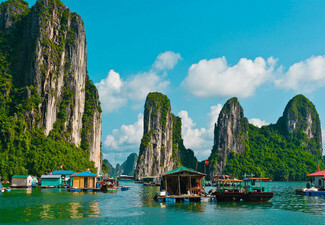 Heading out of the town, embark on a boat for an exploration of the legendary Ha Long Bay. 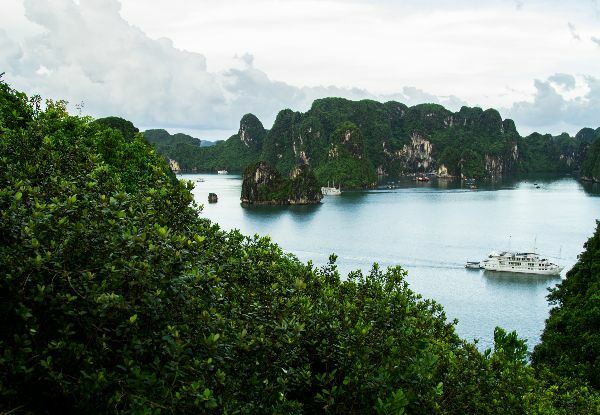 This exciting cruise will provide a fantastic view of the picturesque scenery blending with the sky and some 3,000 limestone islands rising amazingly from the clear and emerald water. 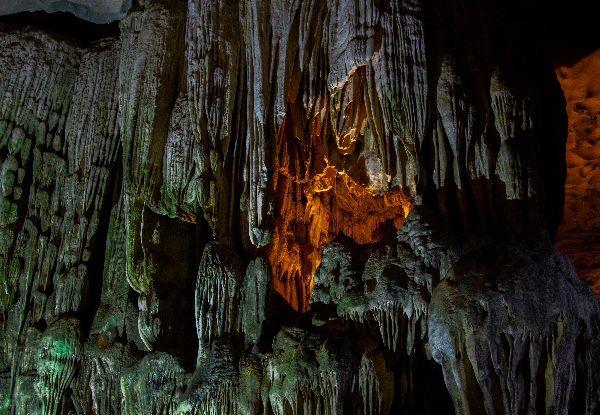 The limestone karsts formations are littered with beaches, grottoes and beautiful caves. Along the way, anchor for a leisurely swim in a secluded cove and an enjoyable visit to one of the many hidden grottoes beneath towering cliffs. Overnight on the Junk Cruise. With ochre-colored colonial buildings, tree-lined boulevards and scenic lakes, Ha Noi is full of charms. 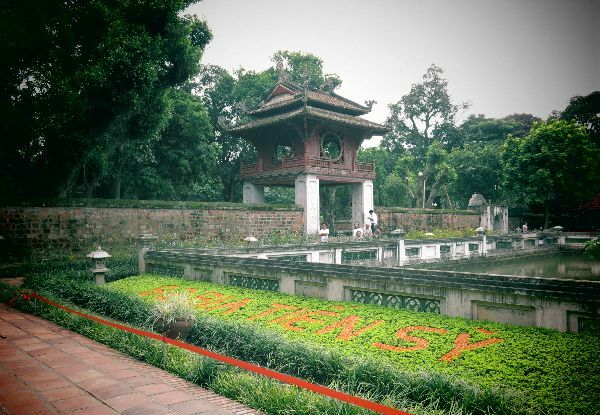 Visit some of Ha Noi’s heritage sites such as Van Mieu - Quoc Tu Giam (temple of literature), the first Imperial school in Vietnam, built in 1070 during the dynasty of King Ly. We will also visit Hoan Kiem Lake, Ngoc Son Temple (jade mountain temple), But Tower (pen shaped tower), Dai Nghien (ink stand) and The Huc Bridge (wooden bridge painted in red). Then, we will take a cyclo (pedicab) ride around “the 36 meandering streets” of Ha Noi’s historic Old Quarter to enjoy the bustling local life. 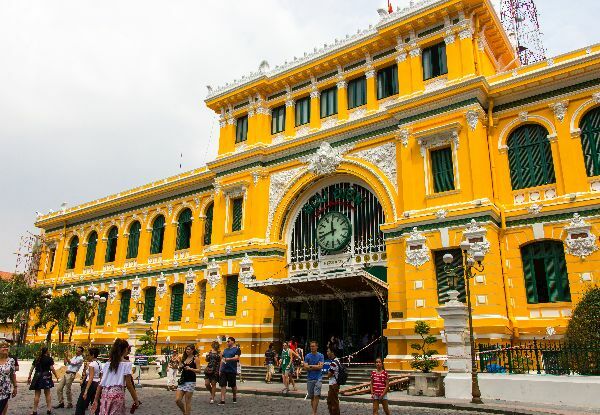 The history of Ha Noi dated back for over one thousand years, and Ha Noi has different cultural characteristics compared to the areas in Vietnam. 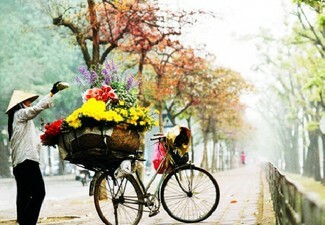 The lifestyle, cuisine and fashion of Ha Noi folks bear special features and through this journey, we can perceive these. It is very interesting to discover Ha Noi in the morning, when the life has just started and we can enjoy the busy atmosphere in all streets. Hanoians are very friendly and hospitable. Hopefully, this is the most remarkable memory in our destination to Vietnam. Check in the hotel in Da Nang. Overnight in Da Nang. One of the most stunning sights to see in Hoi An area is My Son, Viet Nam’s most important site of the ancient kingdom of Champa. Between the 4th and 13th centuries a unique culture which owed its spiritual origins to Indian Hinduism developed on the coast of contemporary Viet Nam. This is graphically illustrated by the remains of a series of impressive tower-temples located in a dramatic site that was the religious and political capital of the Champa Kingdom for most of its existence. Located in the heart of a beautiful valley and surrounded by high mountains ranges My Son was named a Cultural Heritage site by UNESCO in 1999. Overnight in Da Nang. Transfer to Hoi An and contact Ann Tailor at 30 Tran Hung Dao Street, Hoi An Town to have a free tailor-made item of clothing. 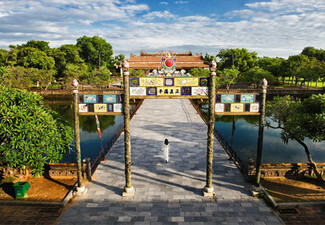 In the afternoon, exploring Hoi An on foot is one of the best ways to take in the city’s charm. While exploring the small yet beautiful town, tourists and frequent visitors alike find that it is a place of quiet and peace. The unique atmosphere here combines elements of Vietnamese, Chinese and Japanese culture. Some of the most remarkable views of the city are from the ancient houses. From here, visitors can catch a glimpse of a long-gone past and more subdued and simple time. 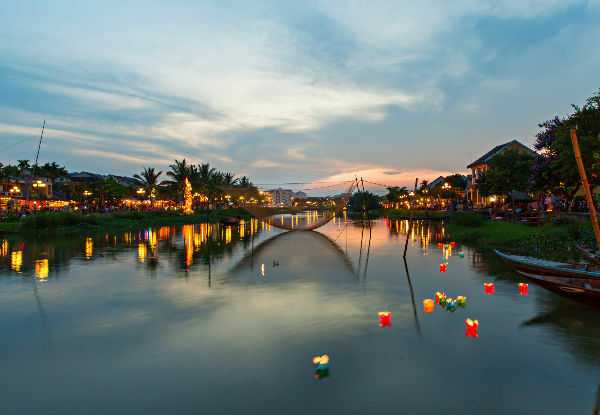 The tour includes visits to Hoi An Museum, many of the town’s renowned Ancient Houses which boast remarkable architecture, Assembly Halls of Chinese influence, a handicraft workshop and of course the must-see Japanese Covered Bridge. 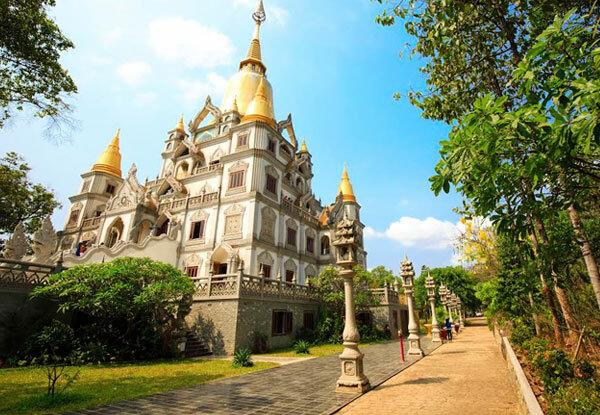 An optional stop is at the private home of Diep Dong Nguyen (subject to availability) to view a stunning collection of pottery, seals and old Hoi An photographs. Overnight in Hoi An. Discover Hoi An’s countryside and its local foods by bicycle. We will start our tour with a ride through the countryside to a local village with a stop to enjoy a bowl of Cao Lau. Cao Lau is a traditional Hoi An specialty composed of local noodles, pork, fresh vegetables and rice paper. The noodles are made with local sticky rice soaked in the water that must be taken from Ba Le Well: the oldest well in Hoi An, believed to have the best water anywhere. You will also be able learn to make special white rose cakes with a local family and have the opportunity to enjoy them. Before the end of the tour, we will go to Cam Nam to enjoy the Ying and Yang food such as: Banh Dap, Che Bap. This tour is definitely an interesting journey. Overnight in Hoi An. Check out and transfer to Da Nang for flight to Ho Chi Minh City. Pick up and transfer to the hotel. Overnight in Ho Chi Minh City. The day will begin with a two-hour ride from Ho Chi Minh City to the Mekong Delta. Upon arrival, we will take a boat cruise to visit Cai Be Floating Market. 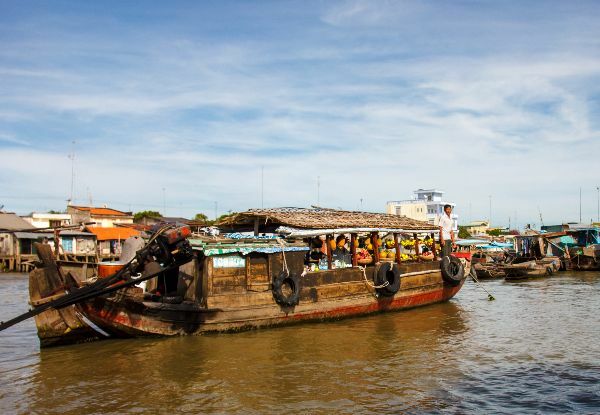 The floating market is one of the most interesting and exciting attractions in the Mekong Delta. At the floating market, you can watch locals aboard their small boats trading fresh goods and local commodities. We will stop over at a local house where we can see how they make coconut candy, rice-paper, rice-pop corn and rice wine. 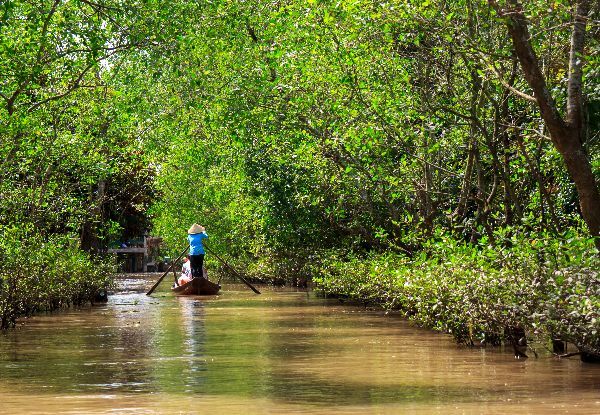 Leave Cai Be for Tan Phong Islet where the maze of shady creeks will surely fascinate you. 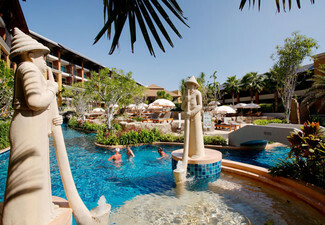 You will have a chance to spend time, enjoying traditional music and tropical fruits. Have a traditional lunch at a local home, including the popular dish of ‘Elephant Ear Fish’. Return to Ho Chi Minh City. Overnight in Ho Chi Minh City. Start the day with a visit to the famous Cu Chi Tunnels. Stretching over 250 km, Cu Chi is one of the most famous and historical aspects of war in Viet Nam. The tunnel system was created in 1948 to assist the Viet Minh as they fought the French for independence and became legendary during the 1960’s in playing a vital role in the Viet Nam War by allowing the Viet Cong (communist guerrillas) to control large rural areas, just 65 km away from Ho Chi Minh City. 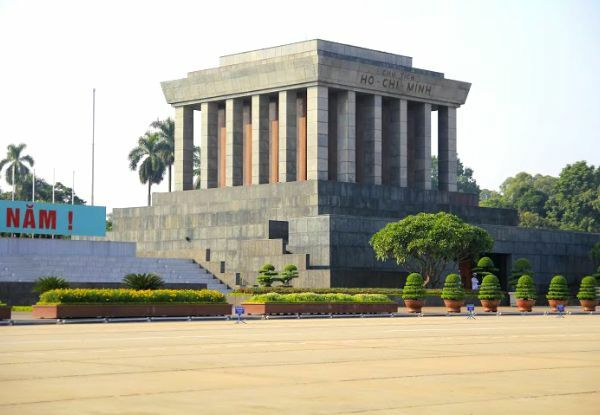 In the afternoon, we will visit some of the other major attractions in HCMC: the War Remnants Museum, Reunification Palace, Notre Dame Cathedral, Old Post Office and Thien Hau Pagoda. Overnight in Ho Chi Minh City. Transfer to the bus station to go to Siem Reap. Upon arrival, pick up and transfer to the hotel. Overnight in Siem Reap. This tour sometimes may be changed into the morning because of the level of water (high or low level), your guide will re-confirm the time for the tour. 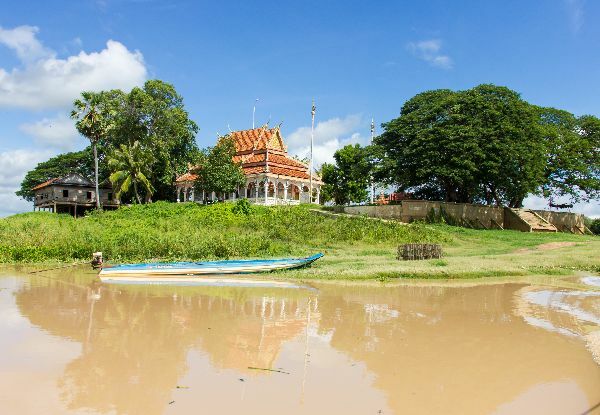 Visit one of Siem Reap’s authentic floating villages. Located on the north-western tip of the Tonle Sap, Me Chhrey village allows for an authentic floating village experience. The small village is home to families who unlike other floating communities still live in wooden house boats. The village moves throughout the year, depending on the water levels of the lake. At the end of the dry season when the lake’s water levels are at its lowest, the villagers move closer to shore and live primarily from agricultural activities on land. By visiting a local home you get a better understanding of life on the lake and your guide would be more than happy to translate your questions to your hosts. 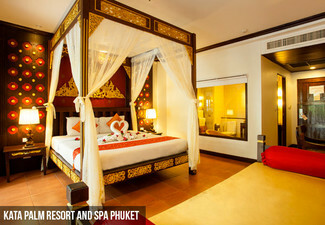 Return to the port and visit the Silk Farm of Artisans d’Angkor, located a 15 minute drive away. Here people with underprivileged backgrounds are given an opportunity to improve their livelihoods by reviving the ancient crafts of making art and producing silk. A local representative accompanies you and walks you through the farm and explains all the steps necessary to produce quality silk. Return to town for a free evening. Overnight in Siem Reap. Spend a full day to visit the well-known Temples of Angkor Archeological Park. Wake up early at 05:00 am to witness the beautiful Sunrise at Angkor Wat or Ta Prohm. Then back to hotel for breakfast and continue the tour to visit: Southern Gate of Angkor Thom, Bayon, Baphuon, Phimeanakas, Northern & Southern Khleang, Terrace of the Elephants, Terrace of Leper King, Angkor Wat, Ta Prohm. Overnight in Siem Reap. Check out, then transfer to the airport for departure flight. END SERVICE. Bookings essential - must be made within 10 days of purchase or by 31st March 2019. Valid for travel between 4 Jan 2019 - 6 Dec 2019. Subject to availability. Twin-share options are valid for one person on a twin share basis i.e. 2 tickets must be purchased at this price. Those travelling solo must purchase solo traveller option. 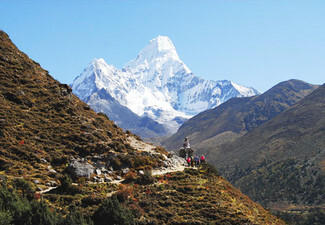 Travel insurance is not included, but is recommended. Includes: Pre-approval for visa upon arrival for visa to Vietnam, hotel pick-up & return by new air-condition minivan, accommodations, all entrance fees, boat trip in Ha Long, in Mekong Delta & Floating Village in Siem Reap, mineral water, meals specified in itinerary. Stationed English speaking tour guides, bus ticket (Ho Chi Minh City - Siem Reap) - 13hrs, air-conditioned, modern, spacious, comfortable 40-seat buses, with tinted window glass, curtains. Domestic Flight ticket in Vietnam (Ha Noi - Da Nang, Da Nang - Ho Chi Minh City), 20kg checked baggage, 7kg hand baggage Child 0-5 years old:10%, 6-10 years old:50% (sharing bed with parents, maximum 2 children), 100% of adult price if request separate bed. 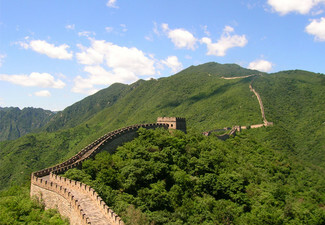 Join in a group tour of maximum 10 persons. Excludes: International flights, travel insurance, visa to Cambodia USD35 (paid at border), visa stamp fee USD25 (paid to Visa office at Noi Bai Airport), Tips & gratuities, Personal expenses surcharge on public holidays, & anything not specifically mentioned in itinerary. Excludes all International air tickets & all others services not mentioned in inclusions. Please note if you cannot choose any from the above departure dates, please contact us at info@hoianexpress.com.vn to check availability & arrange trip departing on your request date. Value of deal is based on current rates, subject to change. Cancellations incur a fee, inquire directly for more details. Refund available from GrabOne within 48hrs of purchase if specific dates are not available. No cash back, not to be used with other offers.